Spreading the value of one’s culture is often seen as a heroic mission, undertaken by experts backed by large organizations. However, Cook Jung Seo-young broke such paradigms during the first encounter at a cafe located in Samgakji, dressed in her everyday clothes instead of her chef uniform, with her eyes fixed on her laptop. “It being near the end of our project, things are quite hectic,” she said. It has been her third year working on a project named “Bburi Kitchen” with her partner, writer Sonja Swanson. Bburi meaning roots in Korean, the project allows foreigners to trace back the roots of Korean cuisine by providing information on various traditional ingredients in English. The two do more than merely defining the ingredients; they provide detailed information on their cultural and historic backgrounds, as well as in-depth descriptions of their tastes and related cooking recipes. They also include pictures and short video clips that help readers grasp a better understanding of the ingredients that they have never seen nor tasted before. Jung and Swanson visit the producing districts themselves to gather the information on each ingredient. So far, the number of ingredients they have posted has reached 200. The result of their hard work can be found in Bburi Kitchen’s official website (www.bburikitchen.com). “It’s a personal project that I have put great sincerity and passion into,” Jung explained as the project has been led through their own personal expenses without any financial support from external sources. “It was the happiest moment of my life, despite the physical difficulties it entailed,” she recalled. Soon, Jung flew back to Korea with a new goal of “working for the Korean cuisine.” She worked as a corporate chef in Sempio Foods Company for five years where she had the chance to learn more about Korean food and the experience of introducing them to foreigners. “However, as a corporate chef, my roles were limited to introducing the company’s products only. I can’t blame the company of course, but it was different from what I had been intending to do. To cool my head, I visited the producing district for maesaengi seaweed located in Jangheung, South Jeolla province, without any specific plans. That was how Bburi project began,” she said. 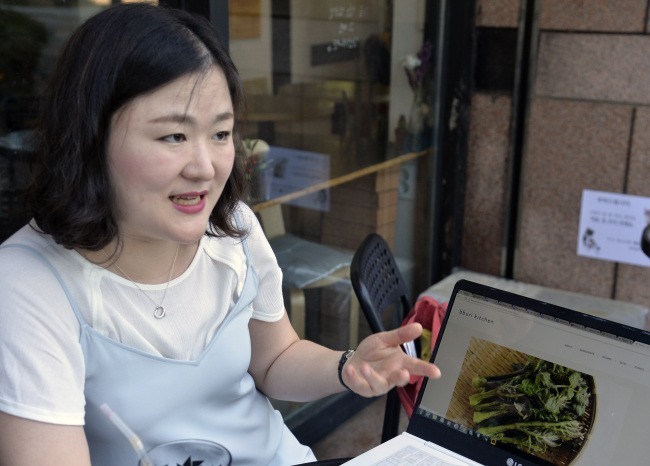 As Bburi project began to take up more of her time, she became a freelancing cook, making regular appearances on various TV shows and opening cooking courses for foreigners, to finance the project. The idea of starting Bburi project may have been conceived by Jung on her own, but it was thanks to the help of her partner Sonja Swanson that the project was able to maintain for the past three years. The two met when Swanson began to take Jung‘s cooking classes and soon joined hands in the project. Swanson who was born to a Korean mother and an American father was working as a copy-editor for Cheil Worldwide then. Swanson’s joining gave a new impetus to the project. The two visited even the most remote places in Korea to find out more information on traditional ingredients. For instance, they visited Ulleungdo at the end of May for research. Jung said that she has learnt so much from the process of visiting the origins of the ingredients. Indeed, their efforts seemed to pay off. The Bburi Kitchen’s website is receiving active feedback from viewers all over the world, including the US, Canada, Southeast Asia, Europe, Nigeria and Gabon. 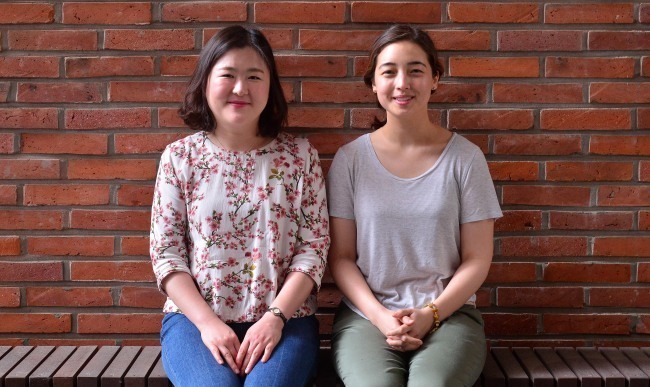 Amid the rising popularity of their website, Jung and Swanson are planning to publish the information on Bburi Kitchen’s website into a book that is to be sold in the US. “We would like to have it published before the PyeongChang Olympics,” they said.